Hello girls! The post that I wrote few months ago [Wanted! Little Black Dress.] inspired me to write more posts with style tips. Personally I love reading posts that include some useful information, and I'd love to share what I have discovered with you guys. So for now, I'm gonna stick to "Basic wardrobe" theme. [Wanted! Little Black Dress.] вдохновил меня писать больше о полезных идеях и советах. Лично я безумно люблю читать посты блоггеров с полезной для меня информацией. И иногда, мне бы хотелось поделиться этой информацией с вами. Поэтому начну я с актуальной темы "Basic wardrobe". 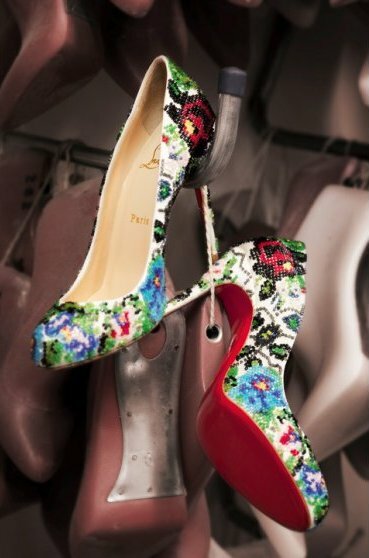 Louboutin got inspired by Ukrainian traditional shirt!